Once again, I'm minutes away from midnight, still trying to figure out what to do for this month's calendar. I'm up to my eyeballs trying to finish my three quilts for our guild show. The deadline to turn them in is tomorrow, and though I entered four, I'll only actually be entering three. The largest one never made it to the longarm. It's hanging on my design wall waiting for its turn. Of course, the fact that it's been waiting since 2004 to be quilted, took the urgency out of that one, so it'll sit for another year (or two) til it makes it to the top of the rotation again. 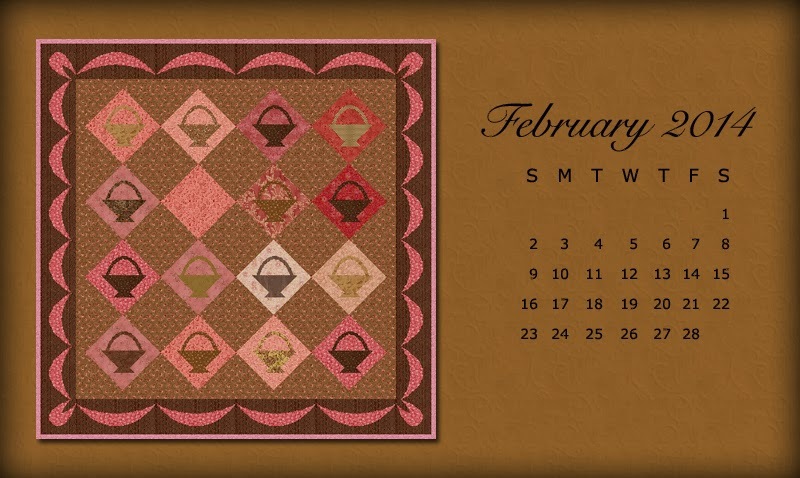 The calendar quilt is similar to one of my show entries that's waiting on its binding and label. I put it down so I could run over to the laptop and post this. I'm not going to show you a photo of the quilt til after the show. 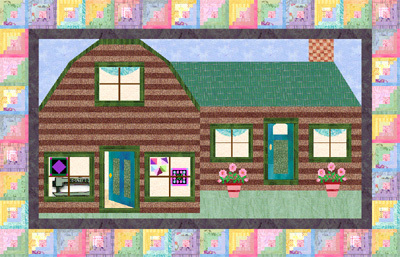 It's a large wallhanging (unless it ends up as a baby quilt someday), and the other two entries are even smaller: one's a tablerunner and the other's a 32" entry in our guild challenge. More on those next month. For now, I need to get back to binding if I ever want to get any sleep before I turn these in tomorrow.